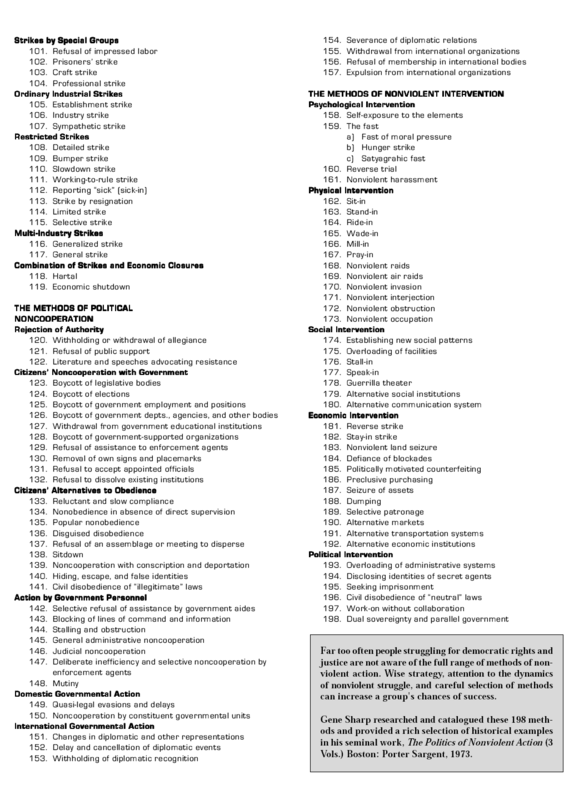 198 Methods of Nonviolent Action. – Gene Sharp. Practitioners of nonviolent struggle have an entire arsenal of “nonviolent weapons” at their disposal. Listed below are 198 of them, classified into three broad categories: nonviolent protest and persuasion, noncooperation (social, economic, and political), and nonviolent intervention. A description and historical examples of each can be found in volume two of The Politics of Nonviolent Action by Gene Sharp.